Installed 11 mm H&R spacers on the front as well. You are right but I wasn't finished then. The spacers came direct from H&R and took a while for delivery. My wife couldn't see a difference in the front. I'm happy so far, however there would be more space to fill but I don't want to change the studs. 11 and 23 mm is the maximum setup without wheel hub modifications. On a site note, I finally received my title and was able to register her in Florida yesterday. Last edited by Zettinger; 06-14-2016 at 09:37 AM. That car looks great - I love the wheels and the clear tail lights with the white paint. The Sport Package lightweight wheels fit the V8V great. I have the red tails as well. Maybe I'll try them out someday. 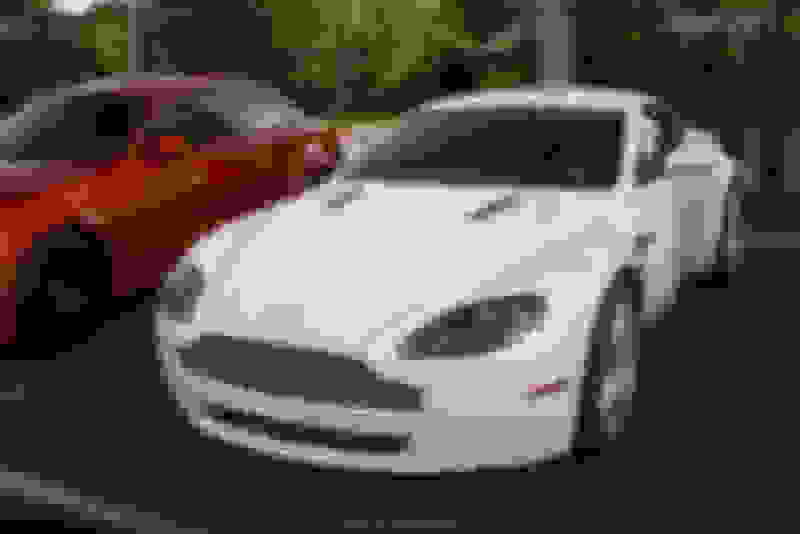 Is your Aston Stratus white as well? My V8V is a pearl metallic white - I really like the color. Just ran across this thread but from reading the board the last 6 months I knew you were the one that got the 09' from Plano. Your pictures are much better than his were! I was hot and bothered for that car but at the time I was still trying to figure out exactly what I was after, reading the board to find ownership costs, insurance [yeeouch], and then finally bought the Guide to focus in, 2010/2011 V8V MT in White or Silver [Lighting or one of the very light ones, no Meteorite etc], Sport Pack, 10 spoke diamond turned, black calipers, Premium Audio, no Beosound. So even though I know what my perfect car is, I still love your car, I wouldn't be opposed to an 09' if the right car comes up depending on how tired I get of car shopping by then! Congrats, I hope to have that feeling sooner than later. Last edited by HabitualOffender; 06-16-2016 at 12:45 AM. I need to agree, the seller pictures and description were terrible. I researched the VIN and found the dealer pictures what made her more attractive as the sellers for sale ad. Good for me since it was a steal for a pristine car with incredible upgrades in exhaust and radar detector. Great choice on car what I read from your requirements! There wasn't anything of the later changes I cared about. The 2010+ larger mirrors are not as pretty. BT standard in 2010 doesn't matter since most Vantage's do have this option anyway. For me personal the stop was the updated rear bumper. They are too much off the original design for my taste. 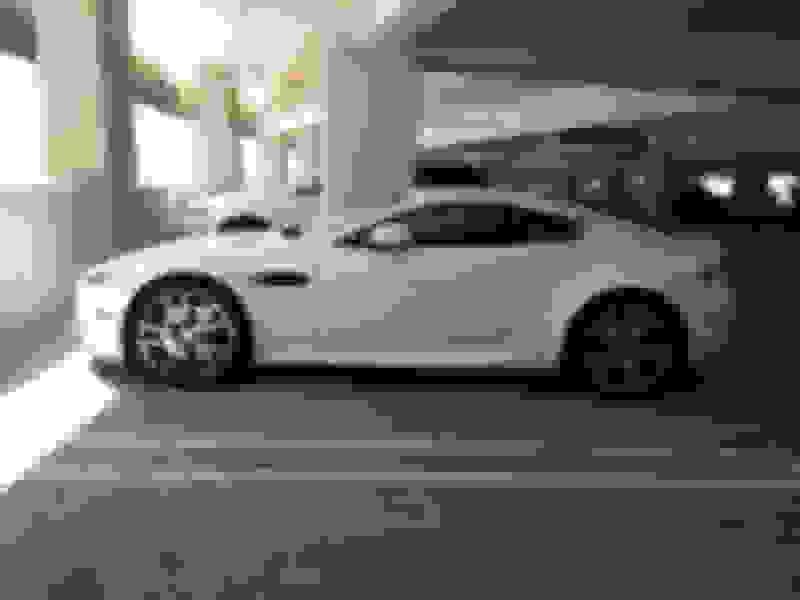 Right now, the Aston is the cheapest car insured in my stable. I bought the AM warranty but I'm not sure if it was really required. Last edited by Zettinger; 06-16-2016 at 09:52 AM. We are working on a set of 20x12" rears and 9.5" fronts.... should be looking real good.. Try and post pics when done. The car in chi town has the Beosound, a bad wear spot on the drivers bolster, and they resprayed the front bumper, otherwise I could handle the 5 spoke wheels. The bumpers are the same, it's the N400 sills that I really like, although I do love the original design with the original mirrors, the eye appeal of the sills outweigh the larger mirrors. They did the same when I went from the 350 to 370Z, the bigger mirrors weren't enough to distract from the other welcome changes. When I saw this car in the classifieds here I was smitten. Just love those sills and the 10 spoke wheels! As for insurance, you went with Grundy where they require the car to be garaged, which I don't have and would never use anyway. Nothing like trying to sneak out at 2AM [which I'll do 3-4 times a week] to the convenience store without getting the neighbors pissed, try starting it in a garage to amplify the issue. My State Farm quote is $371 / month, which hurts but is doable. Otherwise I'm looking for a car with no mods, gentleman driven with its original tires with as low miles and mint a condition as I can find. Then I'll roast what's left of the tires in the first couple months of new car fun, put on new shoes and hopefully settle down a bit [I always tell myself that but I'm still 18 between the ears! Driving sideways has always been too much fun]. The new clutch was a big plus point. Like you mentioned, he had the AM service done at the dealer ship where the dealer spilled hydraulic fluid on the clutch. The dealer replaced the clutch right there. What came in addition, this happened a few hundred miles before I bought her. I talked to the AM dealer prior I booked my flight or agreed to anything. Apparently the previous owner was one of the most **** customers they had. He had the paint protection replaced twice, bought new tires shortly before and did the annual service before had her picked up. The master mechanic meant he probably never revved her higher than 3k. Before I went for the PPI, I talked around 2h with the mechanics and service advisers. The master mechanic said before even putting the car in the shop, he will bet that there is not a single piece below 100% on this car. Now I'm glad I didn't waste more time to buy her. Funny that you refuse garages. I'm looking at a garage at my work place now since I don't want her to be beat by the sun all day. My plan is to drive the first year as much as possible. I already put 1500 Miles on her before getting a license plate. The warranty is good for one year, if something breaks, it needs to break in the first year. The n400 sills are a add on you can add to any year Vantage but I need to agree they do look great. I wasn't so sure till recently and even told someone to not change his Vantage sills to n400's in the past since the wide rear is one of my favorite angles to look at her. 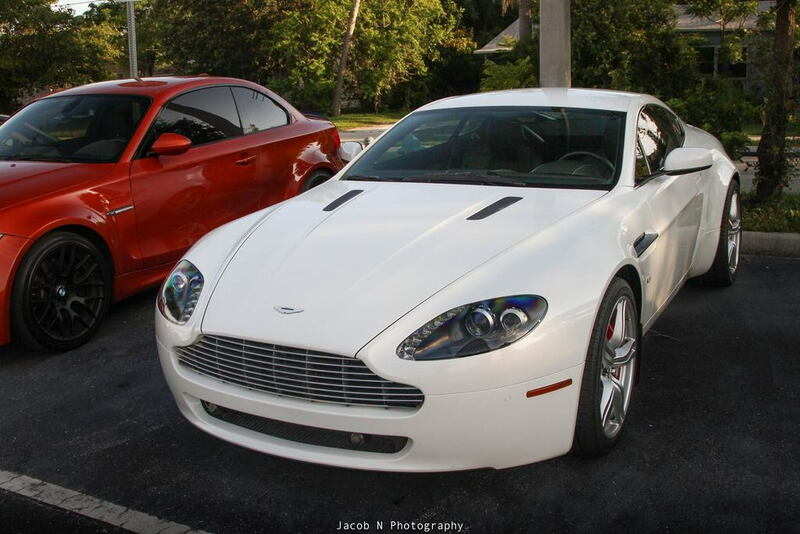 The white Vantage in your picture is beautiful! 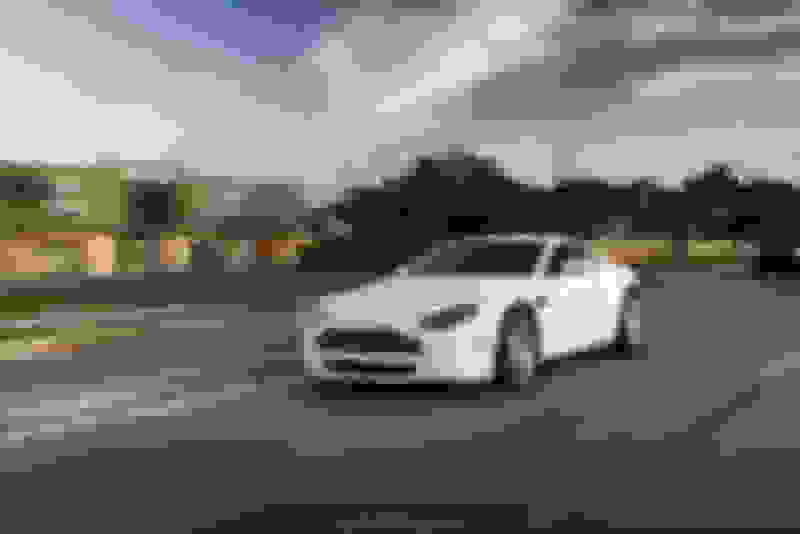 I was talking to a friend about the lighting silver Vantage of the for sale ad but since it is still listed, I assume he didn't buy it. Last edited by Zettinger; 06-16-2016 at 02:21 PM. You can add the sills but at what expense? I remember the extensive work that was done from the Carfax report, and at that time I hadn't read the guide to understand that was all a good thing, it meant it was constantly and fully sorted. At the time replaced clutch and lots of little bits done I perceived as "problem car" more than a positive. Now I know better. It'll be my DD and only car. The Z has been a great fun workhorse [I can fit 7 guitars in it! I'm betting I can get 6 in the V, without Beosound] but I've been drooling for a V since they came out in 06'. I called a good friend as soon as I saw them and told him he had to check them out, his local dealer only 30 miles away, he bought one that day. Then he traded in on a Carbon Black V12 as soon as the first one hit the dealer. My shades of envy got even darker! Last edited by HabitualOffender; 06-16-2016 at 02:09 PM. Fantastic. The sills on your car have made up my mind to install them instead of v12 sills.